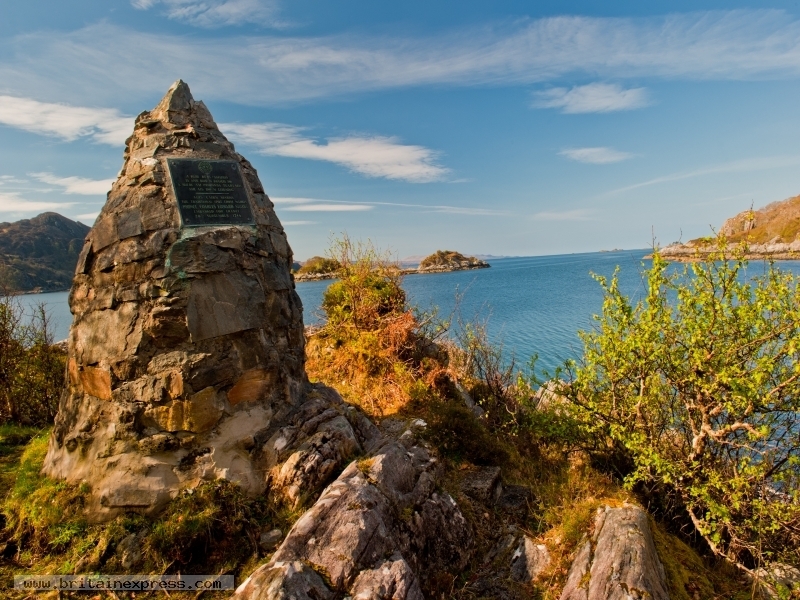 The Prince's Cairn stands on the northern shore of Loch nan Uamh, west of Loch Ailort, on the Road to the Isles. The cairn marks the spot where Bonnie Prince Charlie came shore on his abortive attempt to seize the crown in 1745. From this spot he departed in haste in 1746, a hunted fugitive following his defeat at Culloden. The cairn is signed (rather poorly) off the A830.